On September 29th of 2007 undefeated world champion Jermain Taylor entered the ring at the historic Boardwalk Hall in Atlantic City, New Jersey to defend his unified Middleweight world championship against hard-hitting undefeated contender Kelly Pavlik in a fight that many considered the fight of the year. A brutal back and forth war of wills that saw both men suffer knockdowns where Pavlik ultimately emerged victorious stopping Taylor in the seventh round. Some might say that it was this loss, the first of Taylor’s career that began a gradual decline in a fighter once considered one of the best pound for pound in the world. Taylor would go on to lose a twelve round unanimous decision to Pavlik in their rematch in February 2008 in a bout that was fought above the 160lb. Middleweight limit. Taylor, who would leave the Middleweight division after his first fight with Pavlik would suffer further setbacks. Many remember his exciting battle against then WBC Super-Middleweight champion Carl Froch in April 2009. Much like the first encounter with Kelly Pavlik, the fight between Froch and Taylor was an exciting back and forth battle where both fighters suffered knockdowns. After being knocked down in the third round of the fight and trailing on two of the official scorecards, Froch would score a come from behind knockout of Taylor in the twelfth and final round to retain his title. Some would say however, that the most brutal of the setbacks suffered by Taylor came at the hands of Arthur Abraham when a straight right hand from Abraham knocked Taylor out cold when the two met in the opening stage of the Super-Six World Boxing Classic Super-Middleweight tournament in October 2009. It was after this knockout loss in which Taylor suffered a severe concussion and bleeding on the brain and Taylor’s third knockout loss in five fights that many, including this observer believed that he should consider retirement. It is important to remember that the knockouts Taylor suffered at the hands of Pavlik, Froch, and Abraham were devastating and were the kinds of knockouts that could take a toll on a fighter in the long-term. Although Taylor would not retire, it would be two years before Taylor would return to the ring. Taylor returned to the ring and the Middleweight division in December 2011 after being medically cleared to resume his career scoring an eighth round stoppage of Jessie Nicklow. Since his victory over Nicklow, Taylor would add three more wins to his resume over Caleb Truax, Raul Munoz, and former top contender J.C. Candelo. With four wins since beginning his comeback, Taylor secured a world championship fight against IBF Middleweight world champion Sam Soliman. The fight would take place on Wednesday night at the Beau Rivage Hotel and Casino in Biloxi, Mississippi. Soliman, a longtime contender in the Middleweight division was making the first defense of his world title, which he won in May of this year in his second fight against longtime Middleweight champion Felix Sturm. What interested me about this fight when it was announced was how Taylor would respond in his first real test since his return against a volume puncher like Soliman. Although Soliman is not known as a power puncher, he is known for his ability to be very active and throw punches at a high volume throughout the entire course of a fight. It interested me to see how Taylor, who has been known in the past to fight fatigue and fade during the course of a fight would look as this fight progressed. The fight was fought at a tactical pace in the early rounds where there was a lot of clinching. This was due in large part to Soliman’s awkwardness and lateral movement in his ability to throw punches and approach his opponents at awkward angles. What is particularly frustrating about facing a fighter with a style such as Soliman is that it is very difficult to establish a consistent offensive output due to the difficulty that can occur in attempting to time that fighter’s offensive spurts. Taylor who has been known for having a great jab throughout his career had trouble establishing the jab in the early rounds. Although Soliman appeared to have a slight edge during this stage of the fight, neither fighter was really able to stand out from the other. When it comes to fights that are fought like this it can be extremely difficult to score. Even though I feel that Soliman was a little more effective in being able to execute his offense on the inside, I can easily see an argument being made for Taylor having won more rounds in the early part of the fight. The close fight would begin to turn in Taylor’s favor in round six as he was able to land a little more frequently with his jab and mixed in some solid right hands. Taylor would score a knockdown of Soliman in round seven with a jab. It was clear after rounds six and seven that the momentum was in Taylor’s favor. Soliman however, would suffer an injury to his left knee in round seven when he was knocked down and that seemed to compromise some of his movement as the fight progressed. Taylor would continue to build on his momentum as he scored a second knockdown of Soliman in round eight. Taylor would go on to score two more knockdowns of Soliman in rounds nine and eleven and would go on to earn a convincing twelve round unanimous decision to win his second world title. A victory for Taylor that some would consider an upset based on Taylor’s knockout losses in years past. It was also based on those knockout losses as well as Taylor not facing opponents that most would consider contenders since his return in 2011 that there was some criticism of Taylor being given a shot at a world title by the International Boxing Federation (IBF). Although some may be of the opinion that Jermain Taylor was able to get an opportunity at a world championship based on his name recognition clout, he simply did what he had to do in this fight and earned the victory and his second world title. There was also however, a different kind of criticism by some who did not believe that Taylor should have been allowed to fight for the world title. The basis of that criticism stems from Taylor’s arrest on charges of domestic battery and aggravated assault back in August in connection with the alleged shooting of Taylor’s cousin Tyrone Hinton at Taylor’s home in Little Rock, Arkansas. Taylor, who was later released on $25,000 bail requested and was granted permission to travel out of state and compete in the fight against Soliman. It is unclear at this time as to what Taylor’s legal problems might mean for the IBF Middleweight world championship. On October 1st an elimination bout was held to determine a mandatory challenger for the winner of the Soliman-Taylor championship fight. Former WBO Middleweight world champion Hassan N’Dam scored a twelve round unanimous decision over former world title challenger Curtis Stevens to earn the IBF’s number one ranking in the Middleweight division. Obviously before any talk of a potential fight between Taylor and N’Dam can take place there will likely be a waiting period to see how Taylor’s legal situation will play out. As of this writing there is no word on what the IBF’s plan might be if Taylor will be unable to defend his title for a period of time. 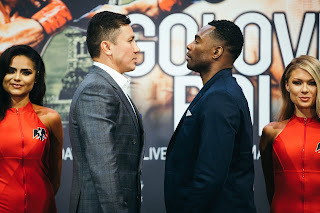 Despite the criticism of Taylor and the circumstances that surrounded this fight it was a performance for Taylor that has reestablished him as a player in the Middleweight division. It will be interesting should Taylor be able to continue his career and assuming that Hassan N’Dam will be his next opponent if that is the case how Taylor begins his second reign as world champion in a talent deep Middleweight division. As impressive as Taylor’s performance was in being able to regain a world championship after dealing with so much adversity throughout his career, so too was the “Game” performance of the former champion Sam Soliman. Soliman certainly showed his mettle in this fight by fighting through what likely was excruciating pain to go the distance. Even though Soliman will return to his native Melbourne, Australia without his world title, he deserves credit for fighting through an injury and going the distance. Although some might choose to focus on the criticism of how and why this fight took place, this observer will not be one of them. Instead, I will remember this fight not for the criticism and circumstances of which it took place, but rather for one fighter’s reemergence at the top of the Middleweight division, one fighter’s courage in defending his title through injury, and ultimately both fighters ability to persevere.